Well it was pretty wet up here this morning, but now the sun is out and no rain!! Awesome news about New Zealand golfer Danny Lee in the weekend, he scored a decent payday on the PGA Tour. After coming seventh at the Players Championship he jumped from 148th to 119th in the points standings – Great to be a New Zealander!!! And ! !of course Tiger Woods didn’t do too bad coming 11th. Webb Simpson ended up winning by 4 shots. We can’t forget our Lydia Ko having a deserving win at the Mediheal Championship last week, I must admit I loved watching her play and you really knew how much she wanted it after seeing her reaction when she finally won, at the end of the day she is only 21 and has won 15 LPGA tour events, this one has taken nearly two years to win but she is still the most successful teenager in the history of the game to achieve so much. Division 4 played a Te Marua on Saturday against Boulcott and WON 10.5 – 4.5. Player of the day went to Noel Kahui with a 4&3 win and shot 76. Paul Henley won the Blue award. Division 4 is in 2nd place 3 points behind Kapiti who are playing away, Division 4 are playing at home so lots at stake in the final round – Exciting!!! Division 7 played at home also against Carterton and WON 9 ½ – 5 1/2 , Chris Brooks, Robert McIntyre, Wayne Bach, Jose Cooper and Allan Old had great games, the team is 10 points ahead in first place at the moment, so like division 4 the last game is the decider, they have to win by 7 -8 points to take out the Championship. Division 9 lost against Kapiti. Our Mashies team played Trentham at Trentham and lost 12 – 3. And yes!! we do have a Division 1 team – but haven’t really heard how they are doing. Thank you to all members that donated to Maree’s gift, donation came to $302.40, card is all signed, the most popular suggestions from members was a meal and plant vouchers plus some movie passes. I will get these this week and delivery to Maree. – Awesome result everyone!!! On Friday 11th May we hosted the WGI Women’s National Teams, we had great compliments about our course, service and caterer’s. The Green-keepers have to have a special mention as just for this one day tournament it has taken many weeks of preparation to have the course in tip top condition. You guys are AWESOME!!! Last day for Men’s Interclub on Saturday 19th May – Good Luck to all our teams. Matchplay Championships Semi – finals on Sunday 27th May for the Men and Women. – Good Luck to you all. Finals will be played on Sunday 10th June – 36 holes. Who will make the cut???? Sunday 20th May Golf of the year Round 3 for the Men. Mashies at Kapiti on the 19th May. Evergreens at Ohariu Valley on the 31st May. Mens WGI Vets at Manor Park on the 21st May. Women’s WGI Vets at Judgeford on the 21st May. 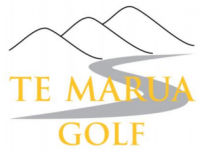 Mary Penrose Trophy Section 2 at Masterton on the 28th May. Have you got your Club Programme Book yet??? Thanks to Ian Jepson for fitting a new hose – you are AWESOME!! Thanks to Clive Dunstan for cleaning the carts – you are AWESOME!! I hope all Mums had a wonderful Mother’s Day. Saturday – Division 4 and 7 teeing off at 8.30, course available the rest of the day.